The future of reviews online is here. Revain will change how business is done online. Revain combines Consumer Reviews and Artificial Intelligence to create the first review platform that rewards users for genuine feedback and prevents companies from “buying” reviews. Is the creation of a community for consumers to be able to provide constructive feedback to companies while being rewarded for their time. The reviews can never be changed or deleted thanks to blockchain leaving consumers free to make decisions based on real feedback. Revain provides a platform for authors to provide constructive feedback to companies about goods, products and services. All bits of information is deposited into the blockchain where it is stored in perpetuity and cannot be altered. The economy created using the dual token system makes it virtually impossible for companies to buy positive fake reviews, and it blocks the competition from being able to slander in the form of negative fake reviews. Revain allows real people to give real feedback in a constructive way to companies that provide goods, products and services for sale. In short, Revain has just revolutionized the review process giving consumers access to real information provided directly to them by their peers. What problems does this solve in the real world, and what advantages does it provide? Consumers today are very savvy and they research everything. Most purchases today happen after a user has done at least some online research. Reviews online can currently be manipulated by the companies providing the goods or services through the purchase of fake reviews, suppressing bad reviews, and controlling what information is provided to the general public. This leaves consumers vulnerable to predatory practices by companies that would rather provide a subpar product or service than earn a good reputation. The ease of which a company can provide false information to consumers is much too high with current review boards. In addition getting honest feedback from consumers takes time out of their daily lives so to be able to offer compensation for them to take that time will encourage more users to leave reviews rather than relying on the few that need no incentive. It also leaves companies vulnerable to attack leaving consumers more confused than ever. How will Revain solve this? By providing users a platform and community to share their experiences with other consumers. Every legitimate review will be paid for using the tokens, and companies will have the opportunity to refuse reviews, however, users can dispute the refusal and if they can provide proof then the company will be issued a warning. At the same time, if the reviewer can provide no proof the company gets to refuse the negative feedback and the user gets a warning. Each will have limits and when abuse occurs users or companies will be banned from using the trusted platform. Revain literally rids the online reviewing community of its most common problems. The community platform provides an ideal environment for consumers to get peer generated information about all kinds of goods products and services. Companies have access to this consumer generated information and can use the feedback to make improvements or to just increase goods or services that are doing well. Which can contribute positively to their growth and consumers are kept informed. Attacks are mitigated, and the information provided will be true and relevant making it great place for consumers to visit to make decisions about any number of purchases. A review platform that has been designed to eradicate fake reviews will be invaluable to both consumers and businesses as all the false information and attacks will be mitigated and consumers can get the real information on goods and services that they need without bias from disgruntled customers, or over optimistic providers. 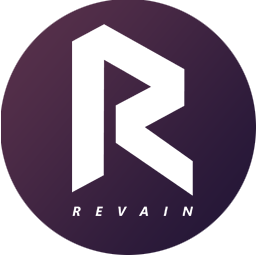 By implementing Revain (R) (the token that carries value within the review platform) on top of utilizing the AI protocols to spot fake reviews and a solid incentive program to reward real users by providing a platform for the community to share constructive feedback the online review process will be revolutionized. The users will be able to spend the tokens earned within the community that they are helping shape by contributing the reviews. The way the Revain economy is structured it can continue to scale with unlimited possibilities. This community platform disrupts trolls on several fronts and aims to provide real constructive feedback to consumers and businesses in order for consumers to make informed choices and companies to be able to make improvements. The ability of companies to buy fake reviews is suppressed, as is the ability for the competition to do negative fake reviews. Consumers are rewarded for taking the time to leave detailed information about goods and services and the continual updating will draw more and more consumers and businesses that are looking for legitimate peer reviewed infomation. One critical aspect to deciding what blockchain start up is a a good investment is by checking out the team members. You will want to look for things like, industry experience, a proven track record that can be verified, and connections in the specific industry they are working in. Revain’s team is passionate about true information. The executive team have been working on the technology and concept for this project since 2014 and they have been proactive in creating the community and AI system that will make Revain the go to place for consumers to get the lowdown on any good, product or service. I do token research, if you don't have time to find promising projects yourself, just follow my posts, it's my job to do this.